 We invite you to experience the best of country living in Allentown, Pennsylvania at Lehigh Square. Only minutes from downtown, enjoy a wide variety of shopping, dining, and entertainment options easily within reach. Take a short drive in any direction off I-78 and an abundance of outdoor recreation awaits you. We are beautifully located nearby South Mountain Preserve and Lehigh Country Club so you can enjoy various trails, views, and golf. The sport mecca of Lehigh Valley, Coca-Cola Park and PPL Center are both within six miles providing easy access to the best sports in the area. Also nearby, South Mall and The Promenade Shops at Saucon Valley offer a place to shop and dine with a variety of options at your fingertips. Call us today to schedule a tour of your future home in Allentown, Pennsylvania.